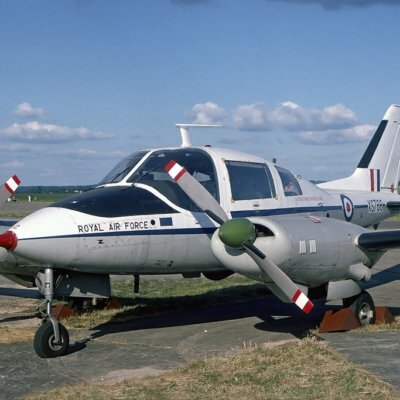 The Fairchild UC-61 series are military liaison models of the civil Model 24. 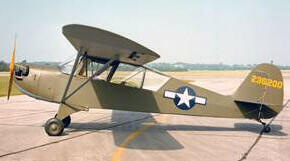 The Model 24 first appeared in 1933 fitted with a 145hp Warner Scarab engine. A number of different engines were subsequently fitted including the Ranger in-line engine in 1939. 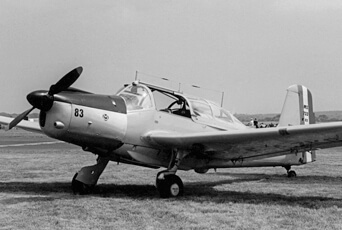 In 1941 production changed to the two military versions, the Warner engined UC-61A and the Ranger engined UC-61K. Production resumed after the war but as was typical with civil aircraft of that era trying to compete with surplus military aircraft, production did not last long. This title contains the flight manuals for both the Ranger in-line and Warner radial engined versions of the UC-61 series, plus the USAAF Erection & Maintenance manual covering all versions. The files have been scanned from the original flight manuals and retain any colour pages. 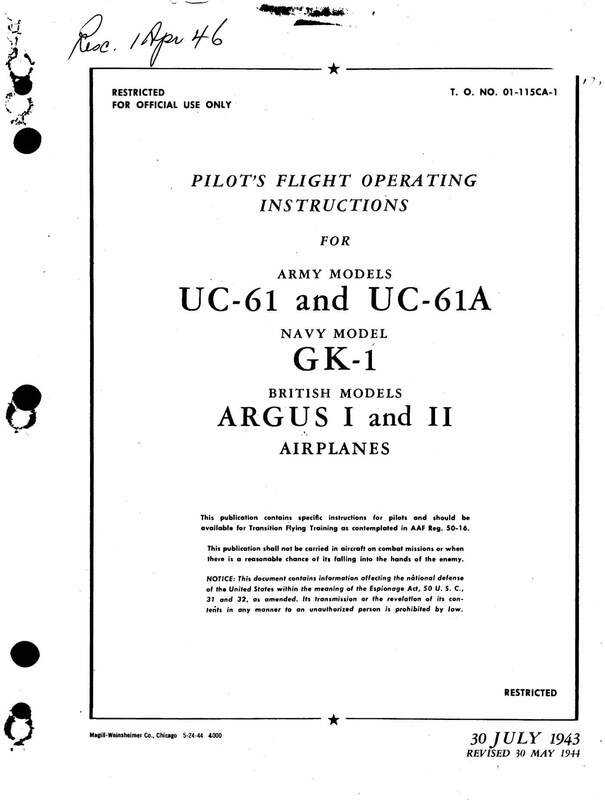 USAAF Pilots Flight Operating Instructions for the UC-61, UC-61A, GK-1, Argus I and II, T.O. No 01-115CA-1 dated 30-7-43 revised to 30-3-44, with approx 32 pages. 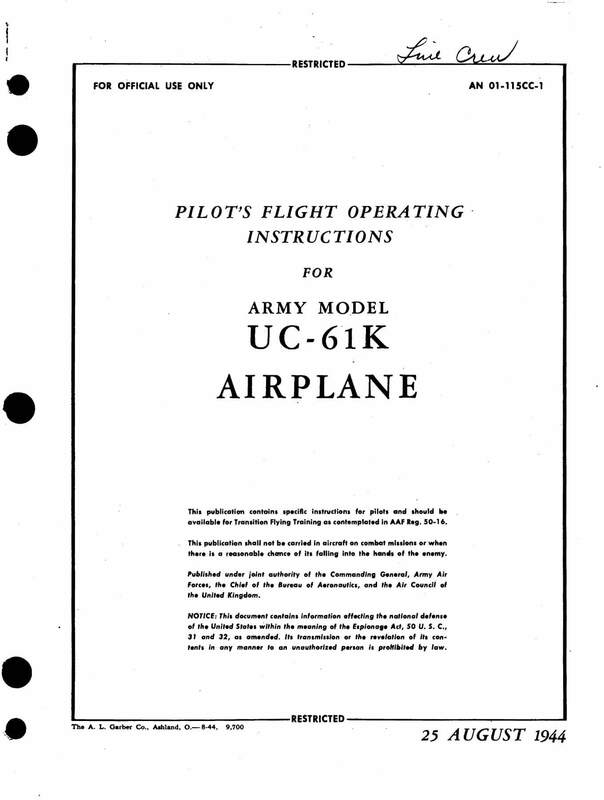 USAAF Pilots Flight Operating Instructions for the UC-61K, T.O. No 01-115CC-1 dated 25-8-44, with approx 32 pages. USAAF Erection & Maintenance Instructions for the UC-61, UC-61A, UC-61K, GK-1, Argus I and II, T.O. No 01-115CA-2 dated 25-10-44, with approx 113 pages.